When debugging Java events in Matlab callbacks, it is sometimes useful to check the stack trace of the originating Java code. 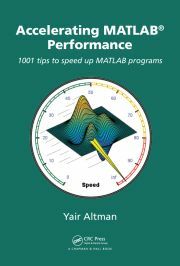 Matlab’s built-in dbstack function only reports the stack-trace of Matlab code, and any prior Java code in the stack trace is not reported. Knowing this information is also extremely important when debugging Java components that are used in Matlab, especially when using the Java-to-Matlab Interface (JMI). Breakpoint for arrayviewfunc>reportValuesCallback is on line 588. Do you know if there a way to avoid displaying the java stack trace that may appear (some kind of “warning off all” but for java exceptions)? I have a tree in one of my GUI and it sometimes returns exceptions. This does not prevent the correct execution but my users don’t like red messages they don’t understand and I would like to hide those traces. @Laurent – I too would love to disable these warnings (actually, these are Java exceptions, but in many cases as you said they act as mere warnings that do not affect code execution). Unfortunately I do not know of any way to suppress them. Thank you for your quick reply and for everything you share with us.